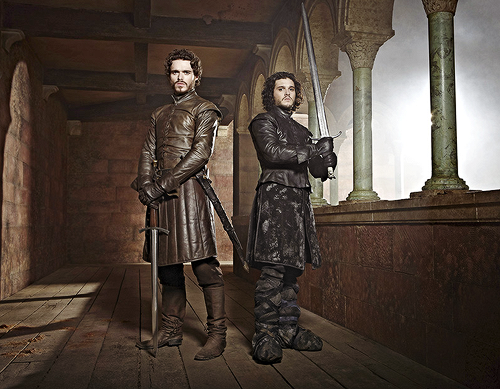 Jon Snow & Robb Stark. . Wallpaper and background images in the গেমস্‌ অব্‌ থ্রোনস্‌ club tagged: game of thrones season 3 promo jon snow robb stark characters.